YWECS SPRING SILENT AUCTION & BBQ! Join us on Saturday, April 9th for an event the whole family will enjoy! on Saturday, September 19th, 2015 at the historic Wawona Hotel in Yosemite National Park. 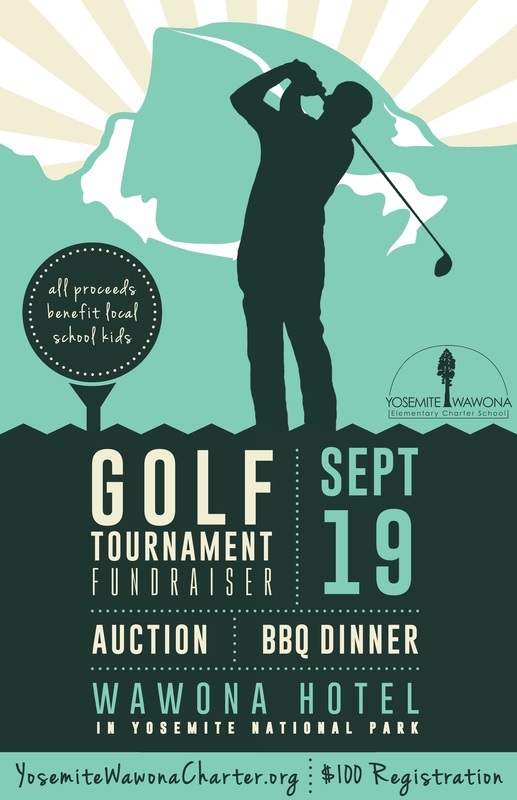 This signature event will include 18 holes, a BBQ Dinner, auctions and a chance to play with a few local ﻿celebrities! Our continental breakfast reception & putting tournament starting at 8:30 AM at the Wawona Hotel Golf Course. The 18-hole tournament will begin with a shotgun tee-off at 10:00 AM. Contests will be held throughout the tournament. ​The event will culminate with a BBQ dinner at 4:00 PM on the Wawona Hotel lawn that will include a raffle & live and silent auctions. All event proceeds will be used to help fund the operation of the charter school for the 2015-16 school year. We hope you will join us for this spectacular event! Simply fill out the enclosed registration form and send it, along with your payment to the address provided below. Please respond quickly as spots are limited! We also invite you to consider a sponsorship - a significant way to make a difference in the education of our children. Tell your friends, get a team together & come play on one of the most scenic courses around!